Fortnite Season 7 has arrived. We’ve pulled together everything you need to know about the new Season – from hints and tips to more general gameplay-related stuff and big announcements. 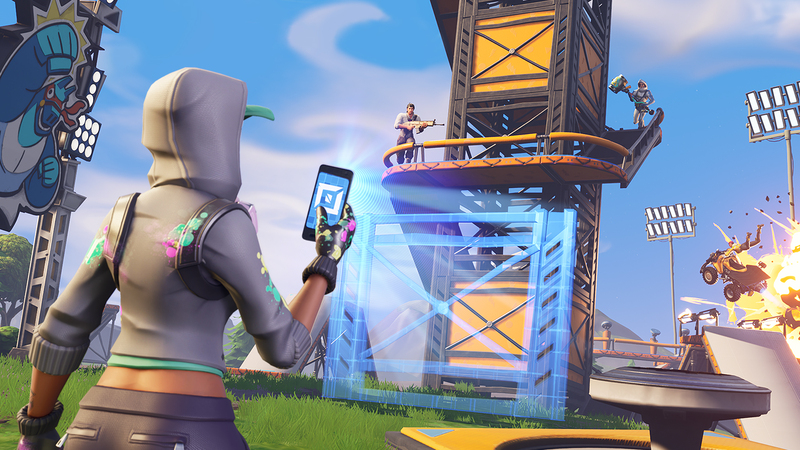 Treat this as your own personal Fortnite Season 7 ‘hub’ – we’ll be updating it daily, so you’ll always be in the know. Let’s kick off with the Season 7 trailer. Check it out below! It’s going to be an exciting one! There have been a load of new changes to the battle royale map, game, guns, vehicles and pretty much everything! You are now able to style your guns and vehicles in a way that suits you. You can unlock them by progressing through Season 7’s battle pass. One brand new addition to the game is the Stormwing plane! Take to the skies and get out of the storm that little bit quicker with this behemoth. Vehicles now have a unique damage number pop colour and show damage numbers. New modes of transport are more than likely coming in Fortnite Season 7. A brand new teaser image has been released across all Fortnite social channels ahead of the launch of Season 7 on the 6th December. The new image shows a close-up view of a character skiing down a mountain and also a distant image of a player using a zip line. This suggests that we will not only get access to skis in the battle royale but also zip lines! 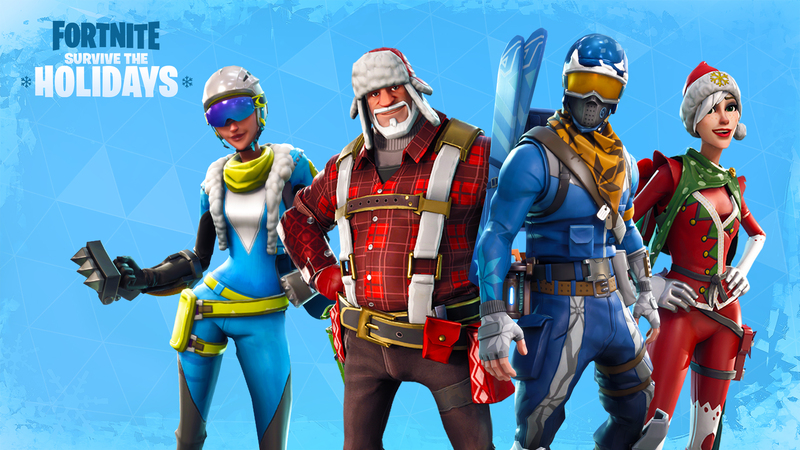 Where there is skiing there is also snow, so get ready for a blisteringly cold Season of Fortnite over the Christmas period. With three days to go before the start of Season 7, the official Fortnite social accounts have revealed the theme with a teaser image. Posted to all Fortnite social accounts the image depicts an ominous hooded figure in blue with the words ‘Fortnite Season 7‘. this seems to confirm what everyone has been thinking… that the theme of the Season 7 will heavily revolve around ice, snow and potentially some Christmas shenanigans. The theme of Season 6, ‘Dark Rising’, was heavily inspired by Halloween and ominous creepy things that jump out of the dark. 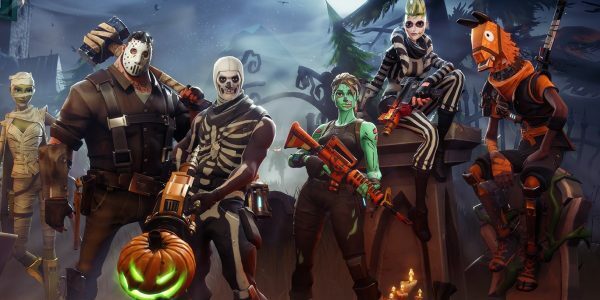 This time last year Fortnite introduced the Skull Trooper and Ghoul Trooper skins as part of the seasonal Halloween theme. They also adapted the RPG in-game to propel pumpkins instead of rockets. When Christmas came around, they introduced new seasonal skins as well as Christmas trees dotted around the map. Fortnite Season 7 hype is at an all-time high right now. As a result, the apparent leak of the trailer for Season 7 over the weekend resulted in both Twitter and Reddit going crazy. The video you're referring to is indeed fan made and not an official trailer. 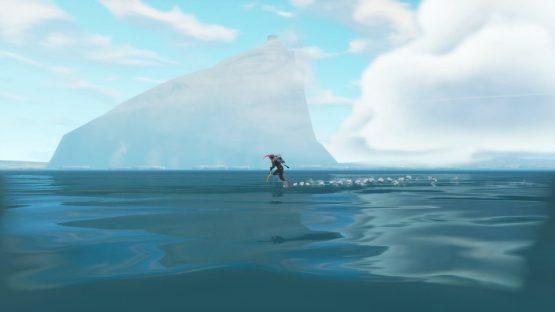 It appears as though earlier prediction could become a reality, as the iceberg heads closer to the island it will begin to melt, revealing a medieval castle that will be integral to the storyline of Fortnite Season 7. 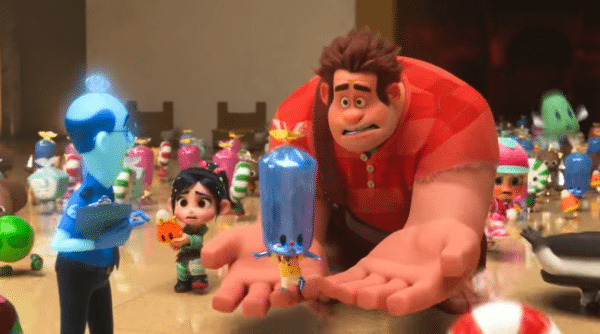 The movie has just come out in the USA and will be coming to the UK at the end of November, so we can expect Ralph to enter our lobbies later this week and stay with us throughout the start of Season 7. 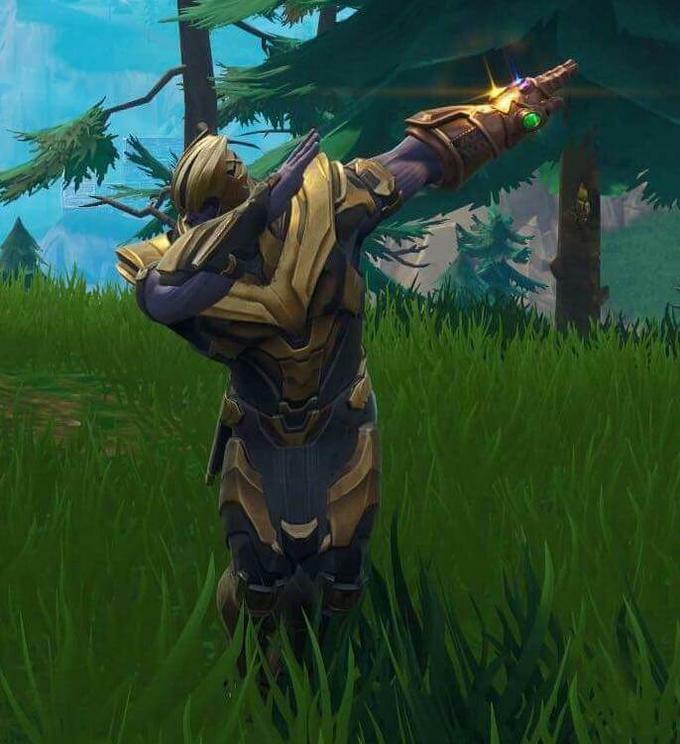 Thanos in Fortnite was quite possibly one of the greatest moments in modern gaming history. The renowned Marvel supervillain entered the popular battle royale game as part of an EPIC crossover that allowed players to terrorise players in a Limited Time game mode. Since then we haven’t seen any further crossovers that included a game mode and different playable characters. During the 2018 World Cup football pitches were added around the map along with the option to buy skins from your home countries team or an opposing team. More recently, EPIC Games has brought us a campaign with the NFL which sees players being able to play as their favourite NFL teams. This is all very well, but it hasn’t changed gameplay dramatically. What players want is a brand new crossover that also gives them a new limited time game mode to sink their teeth into. This could come in several different forms, a crossover with another popular game title such as Spyro, Crash Bandicoot or Mario would be brilliant. Since Fortnite has already worked with Marvel before, it may make more sense to introduce a different superhero into the game. 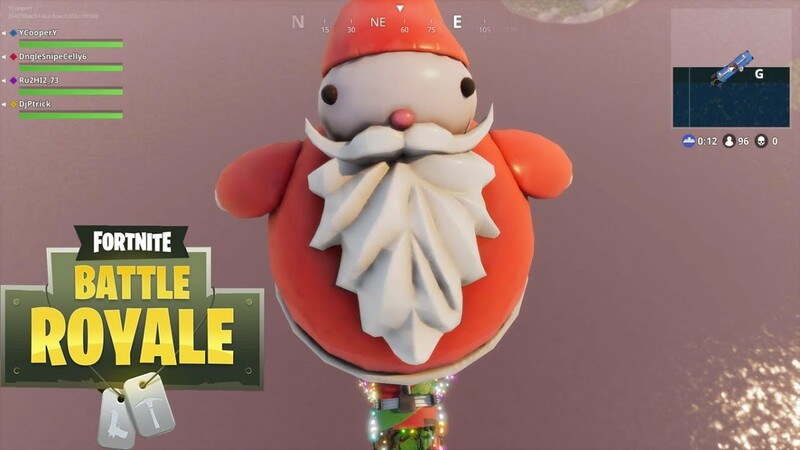 With the theme of Fortnite Season 7 almost guaranteed to revolve around the Christmas holiday, it would be good for EPIC games to reintroduce the Thanos game mode, however with Santa as the all-powerful being of destruction. That would make for some brilliant memes. 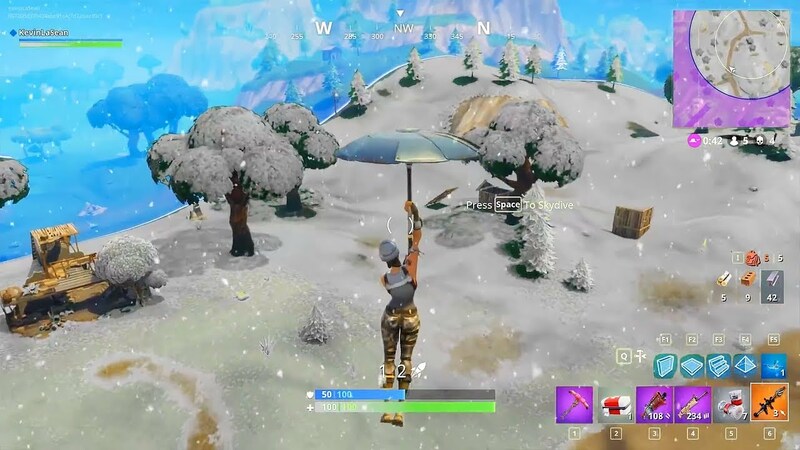 The iconic snowball launcher was a staple in Fortnite last Christmas season. With the recent introduction of the chiller traps, it would be good to see some more weapons featured that perform ‘cold’ damage. Rumours have even been circulating that a drastic change to the storm could occur. Turning the, currently purple, storm blue creating a snowstorm that slows enemies when they got stuck in it. 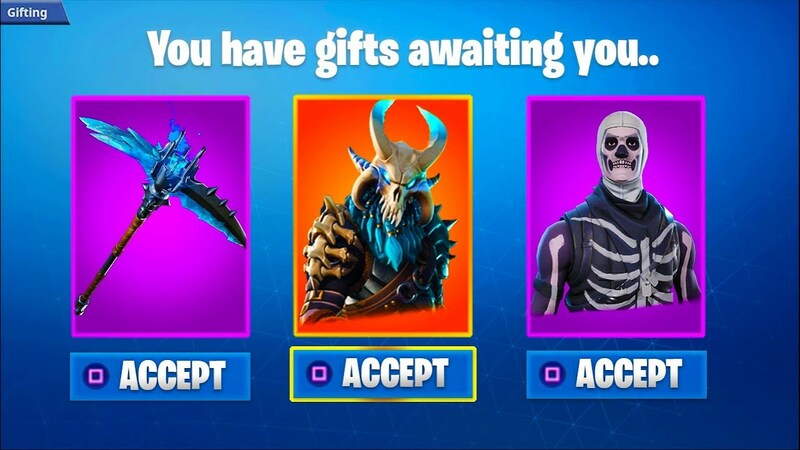 Fortnite skins can be a drain on your wallet and your patience, and many scammers are latching on to this by trying to flog job lots of them for Christmas. Unfortunately, if you do hand over your hard-earned cash to these nefarious types not only do you run the risk of losing your money, even if they deliver as promised your child could end up banned from the game for life. Most people advertising skins, mostly through eBay and other such marketplaces, will have them all loaded onto one account that has either been used before or was specially created for the purpose. Unfortunately, the terms of service that every Fortnite player signs up to explicitly forbid the sale or transfer of accounts, with a banhammer awaiting anyone who dares attempt such shenanigans. This is even after Epic promised a new system allowing players to merge their own accounts following the introduction of cross-play, which removed the need to have multiple accounts to play on PS4 as well as other platforms. There is no way, currently, to legitimately purchase in-game content except through Epic’s own time-limited shop. There is also no legal way of getting previous season’s rewards, so if your obstreperous offspring try to persuade you that buying them an account with such things on for Christmas, don’t be tempted. Violation of those terms can be punished in any way Epic sees fit, up to and including bans of accounts and even specific pieces of hardware used to access the game with those accounts to stop those banned coming back. Why not just get them a Fortnite Christmas jumper instead? Winter is coming and so is a giant iceberg. Fortnite enthusiasts have been keeping a close eye on the movements of a suspicious white cloud that has been growing in size over the past week or so. Well, it has now revealed itself to be a giant iceberg that is headed on a collision course with the battle royale island. Known for their ‘epic’ events, EPIC Games will likely make the collision happen as the event that triggers the start of Fortnite Season 7. Causing the map to be plunged into a world of ice with Christmas decorations galore. 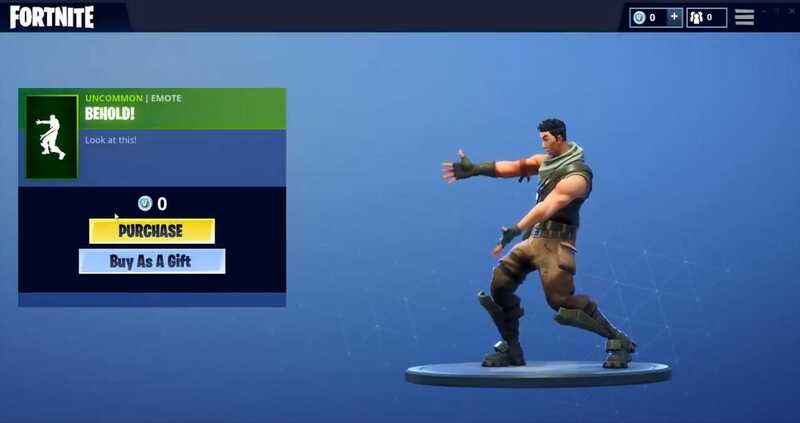 Savvy Fortnite players have also found a way to get over to the iceberg giving it a more thorough examination. The iceberg appears to have a castle turret sticking out the top, this led to theories that the iceberg would eventually melt revealing another plot twist in the ridiculous storyline that is Fortnite battle royale. SCAMS offering Fortnite players free ‘V-Bucks’ are “running rampant” online, according to new research published by cybersecurity firm ZeroFOX. The frauds are carried out using websites, social media posts and YouTube videos, while there are a large number of deceptive ‘V-Buck Generators’ online that hoodwink gamers into handing over their personal data. The floating island has been travelling around the battle royale map since the start of Season 6. 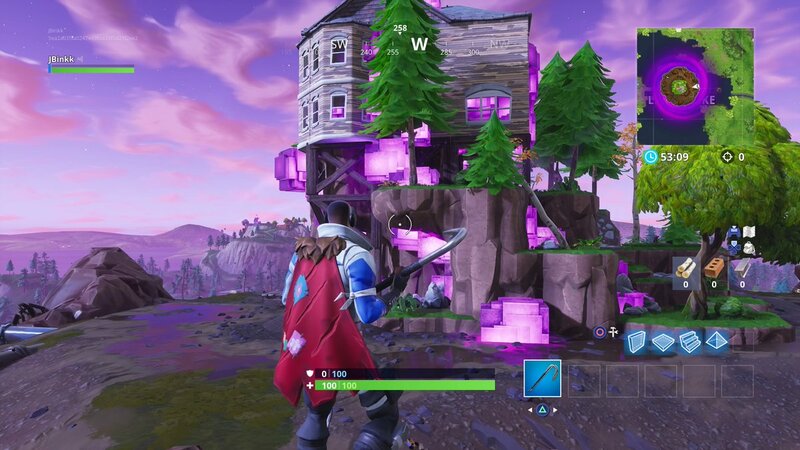 After visiting all of the corrupted sites where Kevin the purple cube had previously visited, the floating island has finally returned to the POI formally known as Loot Lake, now Leaky Lake. Now the island has seemingly completed its journey around the map it’s likely we will see another exciting event take place that could change the state of the map beyond just Season 6 and into Season 7. 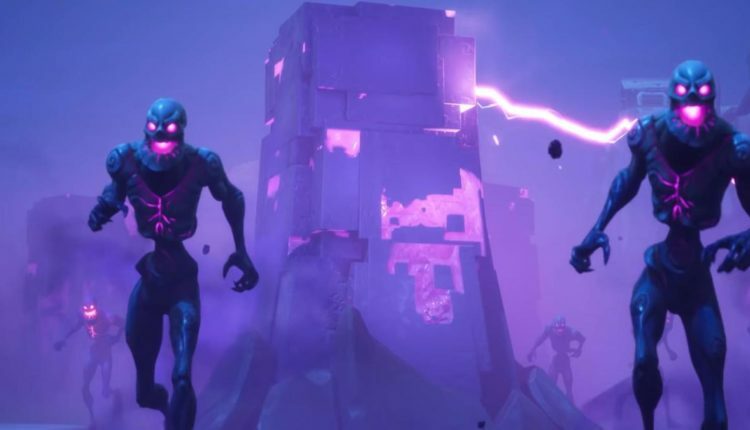 A beam of purple light can now be seen shooting into the sky above Leaky Lake and the island, with the destination being increasingly overrun with more miniature manifestations of the purple cube. With the rune markings having moved closer to Dusty Divot, fans have been speculating that the island might be expanding in order to fill the gap was left after a meteorite hit the famed location all the way back in Season 4. Knowing Epic Games, however, they are much more keen to break stuff than to repair it. Check out this concept trailer for the end of the world in Fortnite and the start of Season 7. A feature which has been eagerly requested for almost a year now is a gifting system. It is possible that EPIC games could add this feature during Season 6, but would make more sense for it to be added at Christmas when they would be set to make more money. The Fortnite map has been changing and growing since the games first season. For that reason, budding Fortnite players are always trying to find out what is coming next, what the next big event will be and which areas may be changed forever. Well, some savvy gamers have spotted something peculiar inside of the rifts. If you look closely enough you will see what appears to be a castle covered in snow. 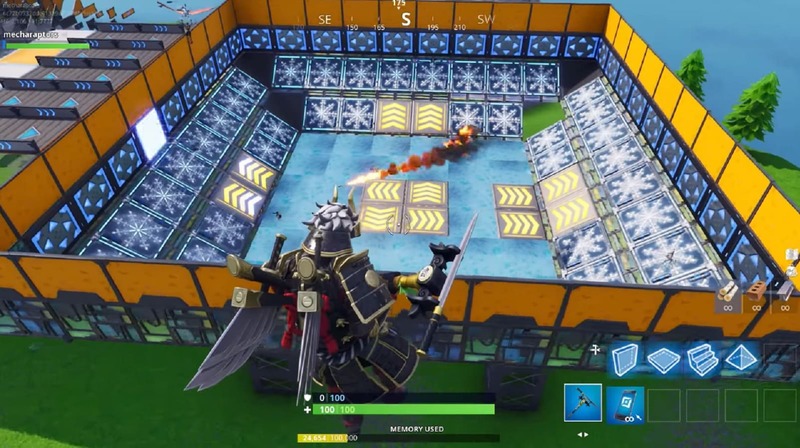 We have had castles in Fortnite before, however, this seems to be on a whole different scale. It is OK to assume that this new POI could even be as large as the secret mountain lair! Could a giant snake be living inside of Leaky Lake? It’s possible. Anything is possible in the weird and wonderful world that is Fortnite’s battle royale. Could this be the map for Season 7? We already know that Season 6 of Fortnite has to outdo not only its previous seasons but Call of Duty’s new Blackout mode, Red Dead Redemption 2 and Battlefield V’s battle royale mode (coming out in November). A few savvy players have noted the appearance of a certain ‘set of eyes’ in Season 6‘s battle pass that could hint at the event that will take us into Season 7. First trolleys in Season 4 and then ATK golf buggies in Season 5. With the possibility of a snowy Season 7 on the horizon, we could be seeing the introduction of some sort of snowy vehicles into the game. The golf carts or the Quadcrasher could also be converted to operate on the snow giving players a brand new vehicle to mess around with. A few months back rumours and leaks showed that the hoverboard was 100% coming to Fortnite’s battle royale mode. However, this turned out to be fake with the unique item being introduced into the ‘save the world’ mode instead. It wouldn’t be too hard for Epic games to copy the code across and add the hoverboard into Fortnite Season 7. It would most likely be featured similarly to the in-game jetpack item. Due to some players looking through the code in future patch notes they uncovered that there may be more water areas coming to the Fortnite map. This has led players to believe that later in season 7 there could be a great flood taking over portions of the map, especially now that Loot Lake has been corrupted. This could lead to new vehicles in the form of boats, and the opportunity for some more brilliant skins. It has also been found that the skins from previous seasons often hint at what is coming next. 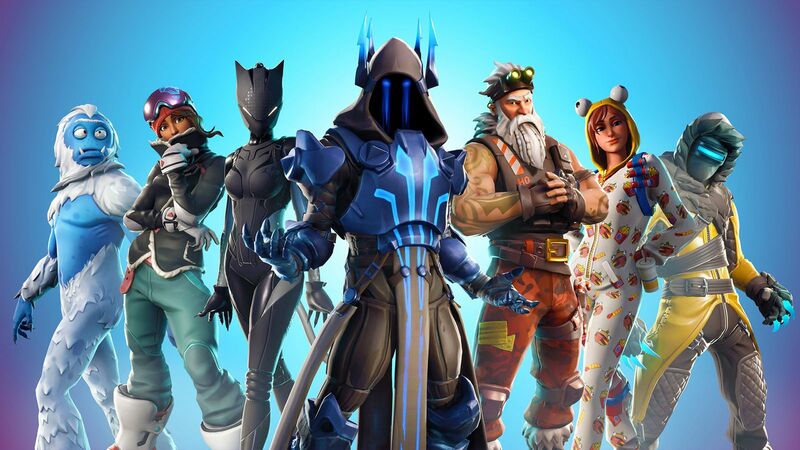 There were a load of water-themed skins released throughout Season 5, so it will be interesting to see if the theme continues throughout Season 6 and into Season 7. Boats could come in all shapes and sizes so it will be interesting to see if this becomes a feature in Season 7. 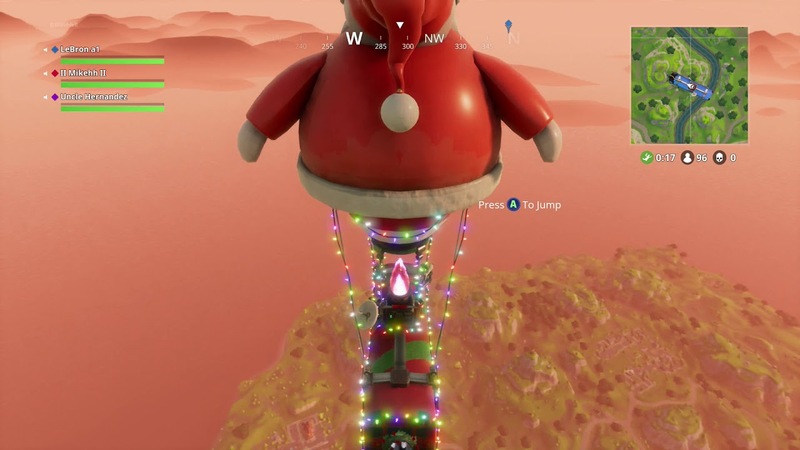 Although technically not a vehicle you will be able to control, the rumoured ‘Christmas’ theme for Season 7 has set tounges wagging about how exactly the map could be affected. 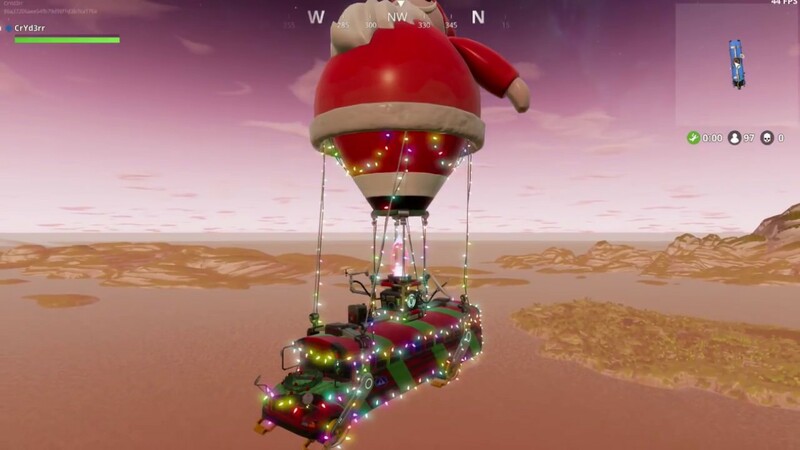 It would be great to see the Battle Bus being pulled along my Santa’s reindeer, or a reskin on the ATKs that will lend an x-massy feel to them. The latest money grabbing scheme from Fortnite is here in the form of a physical bundle. 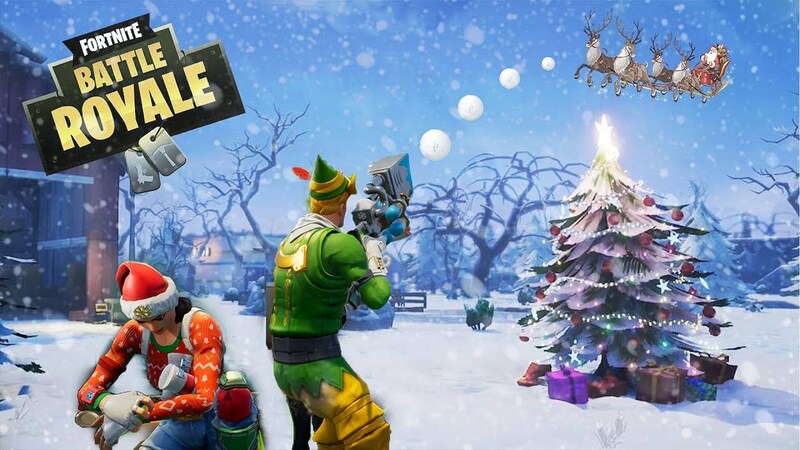 EPIC games have announced they will releasing a ‘Deep Freeze’ bundle to celebrate the upcoming holiday season. Although this package will be coming out slightly prematurely on November 16th in the UK. It’s no mistake that this bundle is coming out just prior to Season 7 and as a physical copy, it’s a great opportunity for parents to buy their Fortnite obsessed kids something physical from the popular battle royale game. What’s included in the pack for £25? In gaming it is usually reserved for the classics you played as a kid on the PS1, Xbox 360, NES etc, however now there’s a game called Fortnite. EPIC games deliver such consistent updates to the game, that it is consistently changing, the map, building, guns, environment, movement and more have changed to the point where Fortnite is an entirely new game every season. For a few months this time last year everyone was a noob at Fortnite, no one was building, everybody was a no-skin and people simply enjoyed the game. There have been rumours floating about that EPIC may be introducing a limited time mode to take players back to the original 2017 version of Fortnite for a long time now. It could finally be happening in Season 7. 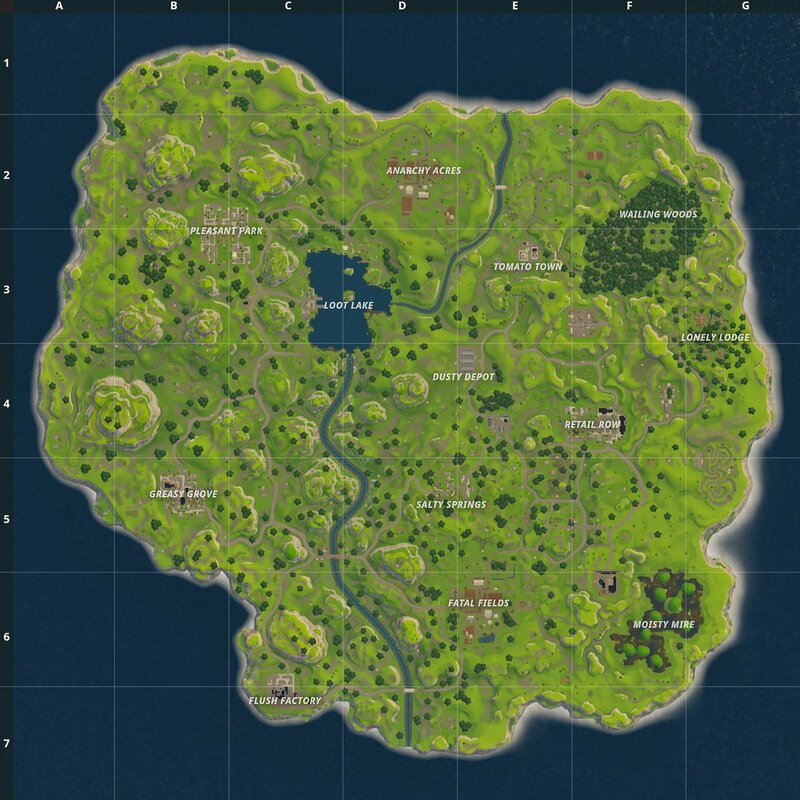 The map has changed so much (and will continue to change) since Season 1 that it’s the perfect time to bring the classic back. It could also bring a number of old school players back to the game who may have taken a hiatus to play different games. Kevin the cube first popped up in (the rather dull) Season 5 of Fortnite. Since then he has transformed Loot Lake into Leaky Lake, travelled around the map TWICE and split up a whole island into several floating parts that are messing with gravity, physics and the very laws of Fortnite nature! Recently, cracks started to appear on the cube and have been growing every day. The new Fortnitemares may be pushing the cube to its limit, ultimately causing it to explode and change the map drastically. This theory has been floating about ever since the cube first appeared. Now, however, there is some evidence to support this assumption. It is likely that, come the end of Halloween, the zombies will all disappear and the cube will explode cause the next big event that will lead to the start of Fortnite Season 7. Kevin the cube has finally settled down. Despite the fact that he seems to be cracking it appears that Kevin is about to become a father. The Fortnite: Battle Royale Leaks Twitter has revealed, through data mining, that there are a set of upcoming challenges involving ‘Lil’ Kevin’. 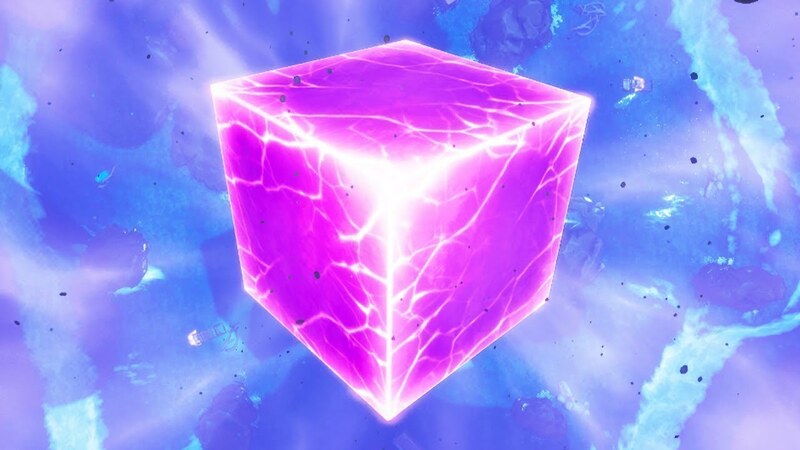 A cube-esque shape with a large pair of googly eyes, make Lil’ Kevin look slightly different to the formidable purple behemoth we have got so used to in Fortnite. Will Lil’ Kevin be involved in the large event that is suggested to be taking place in the near future?